Fill out the form below to download our brochure. 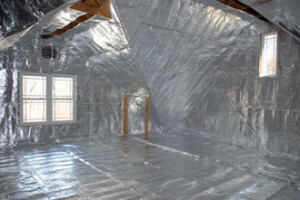 Radiant barrier foil insulation is just one aspect of our business. We can also provide you with blown in insulation for your attic, window film that helps to block heat and UV rays, and many other energy-efficient products. If you’re looking to make your home greener, the name to trust is Green Machine. For more information about radiant barrier and how it is especially beneficial for homeowners in warm climates such as Florida, please contact us today. We proudly install this type of insulation for homeowners in Vilano Beach, Palm Coast, Orange Park, Mandarin, Jacksonville Beach, Atlantic Beach, Amelia Island, and all other nearby communities.